Designs custom USB Webkey mailers for clients and mails them via direct mailing lists that the clients upload. Those mailings are then trackable via the website. Basically qualified lead generation. 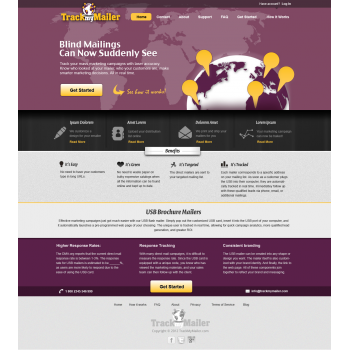 direct mailing is usually blind, as in you don't know how succesful your marketing campaign was. 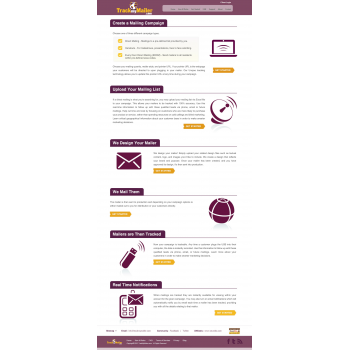 With this, you know exactly who and when on your mailing list plugged the USB into their computer to visit your site so you are able to follow up with these qualified leads. 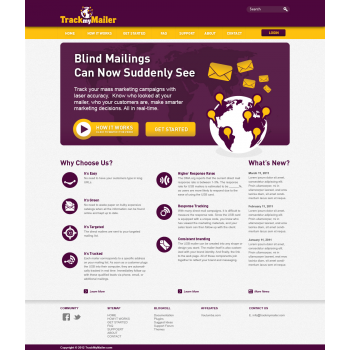 large companies that do direct mail marketing, universities, pharmaceutical companies, etc. please keep the purple and yellow theme the site currently has as much intact as possible. I like a simple, clean and eye appealing look. think twitter, skype, etc. The current website has a homepage. There is the large tophalf of the website currently and then info below the "fold" of that page. I would like everything Below the fold custom designed. Things such as a news feed section, hot buttons to highlight the features and benefits of the service, perhaps a testimonial display, and hot buttons to get started/learn more, etc. 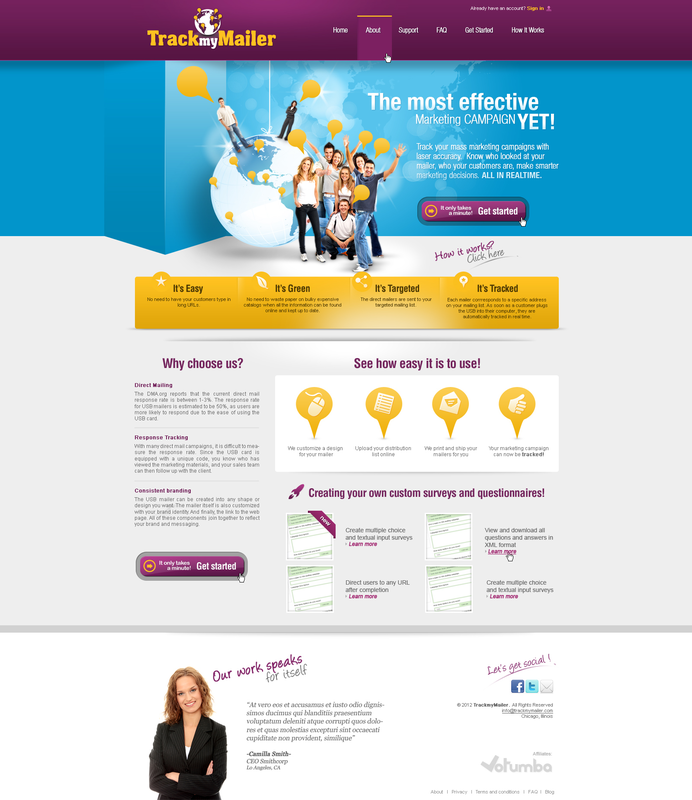 The second page I need designed is the "how it works" page. Basically everything on this page under the header I want completely designed and laid out nicely and eye catching. Verbiage can also be edited as you see fit.